Janet Napolitano, President of the University of California, said the university is "in a state of excitement" after closing a multi-year budget deal with Governor Jerry Brown last Spring and that she now wants to "ratchet down" student fees amid the rise of student debt. 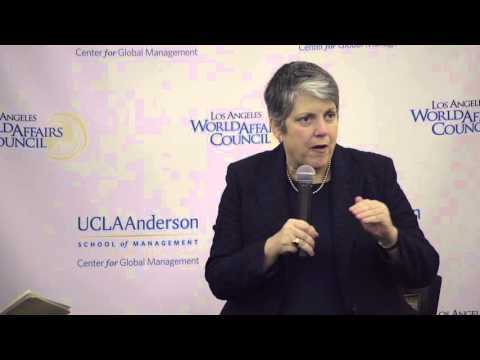 Speaking to a Los Angeles World Affairs Council dinner on February 3rd, 2016, Napolitano said that to convince Governor Brown to allocate more funds, she told him "California would not be California without the UC system." As former Secretary of Homeland Security, Napolitano also talked about her thoughts on the current state of national security saying she believes we are better off than we were pre-9/11, but that there is deep concern for the increase in cyber threats and an ongoing concern about aviation security. The discovery of gravitational waves earlier this year - something predicted a century ago in theory by Albert Einstein - may usher in an entirely new type of physics that could completely change the way we understand the universe, said Dr David Reitze at Caltech. It may also allow us to find ways to listen in to the echoes of the very foundation of the universe in the immediate aftermath of the Big Bang. Reitze is the chief scientist in charge of the search for gravitational waves, a 25 year-project jointly managed by Caltech and MIT that involved some 1,000 scientists working in the US and around the world. 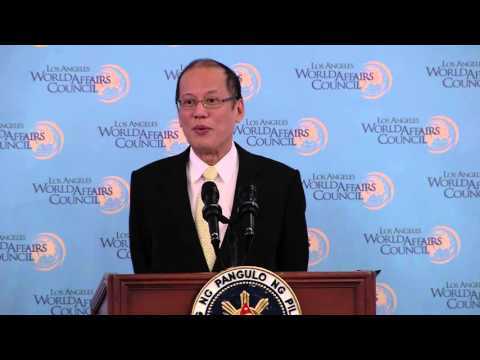 He talked to the Los Angeles World Affairs Council on Wednesday April 21st about the thrill he and his colleagues felt when they first heard the "beeps that went around the world". 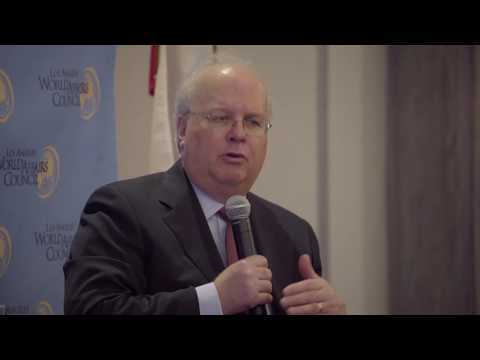 Republican strategist Karl Rove said that the unfavorable polls for this presidential election are "jaw-droppingly bad" and that voters are faced with "choosing between the lesser of two evils." He said Trump has "thrown out the rule book", and "anybody who says they know how this election will turn out is kidding themselves." 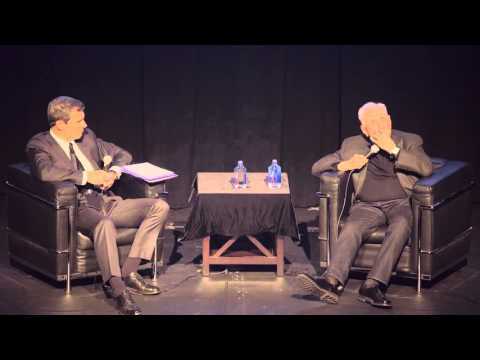 Rove spoke at a Los Angeles World Affairs Council event Thursday, May 12th about American politics throughout history and his new book The Triumph of William McKinley: Why the Election of 1896 Still Matters. 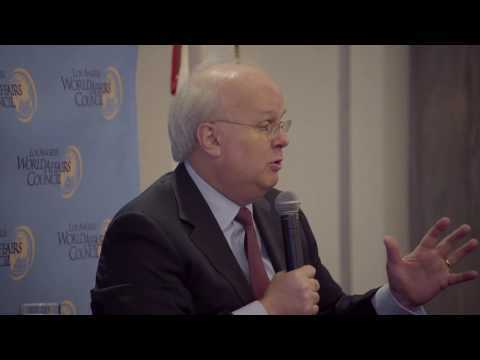 Karl Rove talks about the big issues facing Americans at home and abroad and what the most important decisions will be for the new President. 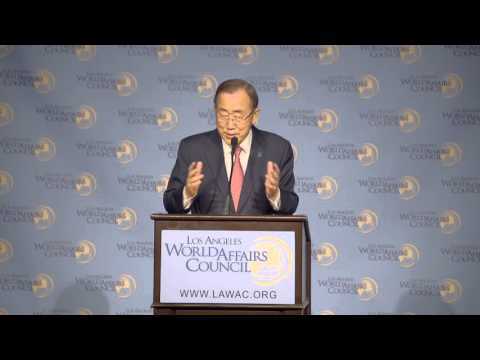 Ban Ki-moon, the United Nations Secretary-General, said the international community was failing in its moral duty "to make the world a better place", and called for improved global cooperation to reduce conflict and suffering. 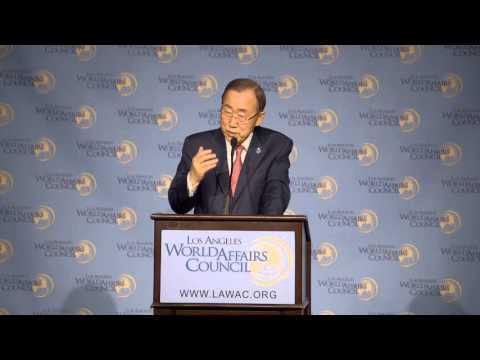 Speaking to the Los Angeles World Affairs Council on Tuesday, April 5th, Ban said that "in this 21st century with all of the prosperity and capabilities we have, we should haven't so many people suffering." More than 125 million people around the world need daily humanitarian assistance - among them more than 60 million refugees. 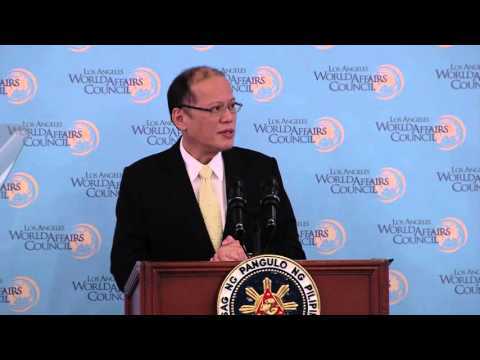 "This is the most number of people since the end of the Second World War." Ban talked about his frequent visits to refugee camps and the parallels with his experience of being forced from his home at age 6 by war in Korea. 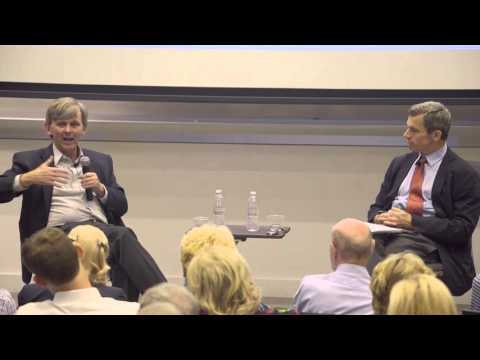 He also talked about his fears of nuclear materials being acquired by non-state actors and said "there are no right hands for the wrong weapons." He also talked about the importance of empowering women and he made a plea for California to "remain at the forefront of climate action."